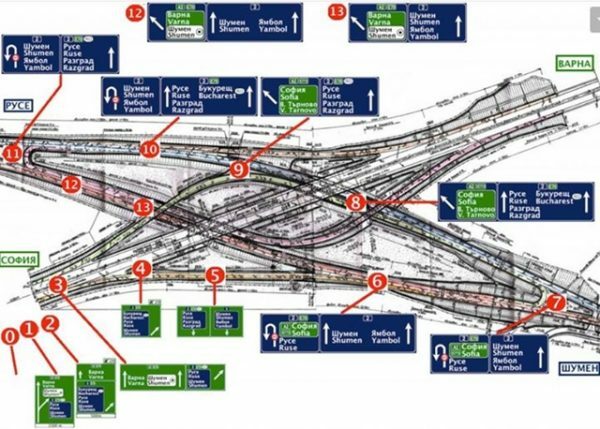 The days after the August 3 opening of Bulgaria’s new Belokopitovo road junction on the Hemus motorway that links Sofia and Varna have seen controversy about the junction, with criticisms including that the complicated arrangement is confusing and potentially dangerous. 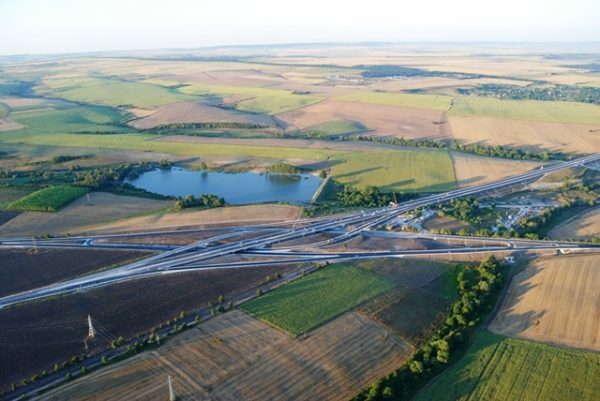 The Road Infrastructure Agency, however, has defended the new junction, Bulgaria’s largest, as efficient, safe and planned to enable connections with all routes linking major cities in the country. On social networks, Bulgarians described the roadsign arrangements on the new facility as chaotic and said that there were “points of conflict” – places where motorists would need to feed in to lanes to get in the direction they are headed – that were risky. Defending the new junction, Road Infrastructure Agency head Lazar Lazarov said that the diamond junction was a better option that the conventional clover junction, including because it would not require reducing speed while en route from Rousse to Varna and from Sofia to Varna. He said that the design made it possible for left turns to join the traffic flow to be 180 degrees, while the clover design had 270-degree turns. Lazarov said that, contrary to criticism that the Belokopitovo junction was bad, it was a “fully functional” junction catering for the flow of traffic in all directions in which motorists would need to travel. It had be designed to include the Sofia – Varna and Rousse – Varna highways. At the time the junction was opened, on August 3, the agency said that the Belokopitovo – Kaspichan section of the Hemus motorway had cost close to 66 million leva, paid entirely from the national Budget. The agency said that the five km stretch of motorway from Belokopitovo to Kaspichan and the Belokopitovo junction would ease traffic on the Sofia – Varna and Sofia – Rousse routes, operating costs for freight transport would decrease and travelling distance would be reduced by about five km.